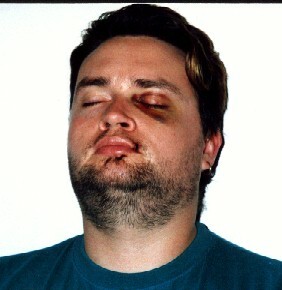 This person was the victim of a unprovoked assault in a pub carpark in Auckland a couple of months ago. He was kicked and beaten with a iron bar. The victim's initial reaction had been to curl up in a foetal position in order to minimise the damage, hardly a provocative or threatening posture! The offender was out on bail, and has a track record of violent offences. He is STILL not in prison. To this day the victim has not been contacted by any Government agency apart from the police. To add insult to injury (quite literally too) the victim has had to pay for replacement of his glasses and other personal property from his own pocket. 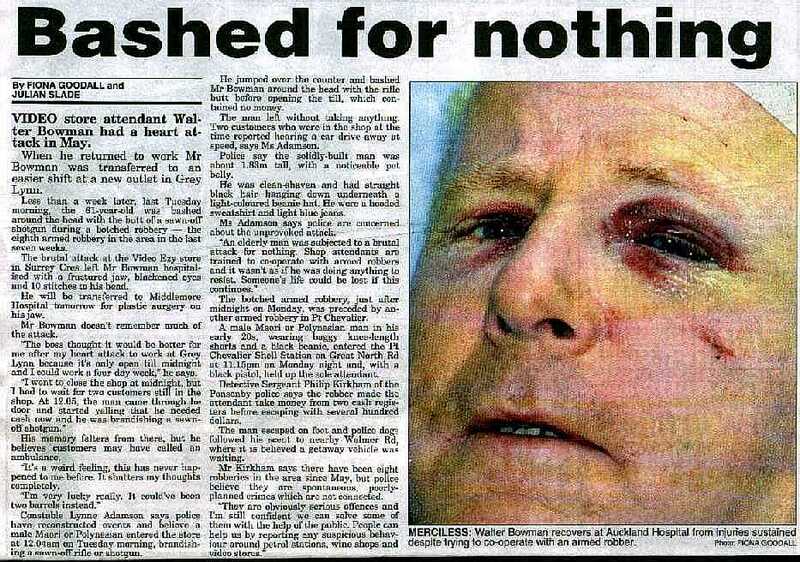 The photo below was taken a few days after the assault. It is not as gruesome as photos taken on the night, which will be posted here as soon as the police return them to the victim. He was very keen to have this story up on the site, and feels very strongly about the poor treatment of the victim by our "justice" system. He and many other decent law abiding citizens see that victim advocacy is sorely lacking, and want to see the balance of power tilted in favour of the victim instead of the offender. If you or someone you know has been the victim of a violent offence, and would like to have the story up on this page, feel free to email me with the details. Photos, if you are comfortable with supplying them, would be appreciated for their impact. Another horror story, this from Auckland's Central Leader.